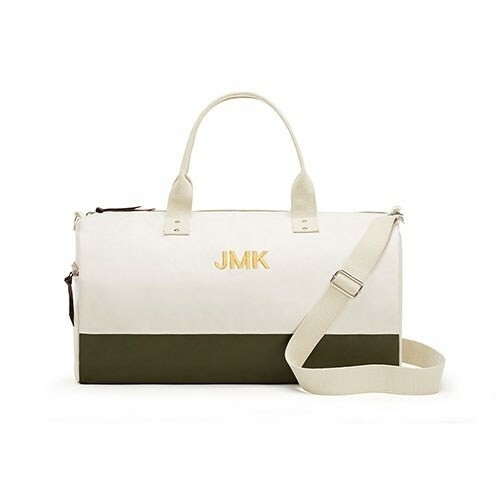 This large custom personalized cotton canvas fabric tote bag is a perfectly sized companion for weekend travels or going to the gym. The green and white plain exterior is crafted from 20 oz. cotton canvas material, and the weekender tote bag includes two zippered pockets, one big and one small, with leather pulls. A fully adjustable shoulder strap is included. Each bag can be personalized with up to three custom embroidered monogram initials. 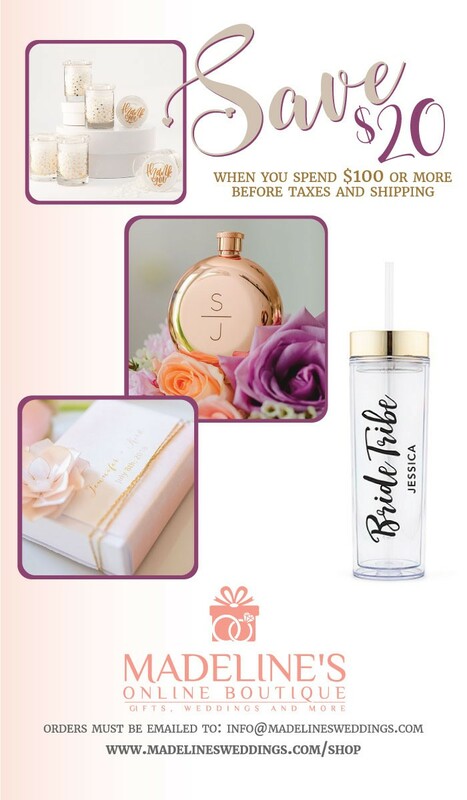 An inexpensive tote bag without looking cheap, this makes a fabulous gift idea for your wedding party, such as your maid of honor, bridesmaids, and mother of the bride. It is also a unique, reusable gift for your best friend, school teacher, or the special women in your life! While you’re at it, snag one for yourself, the bride to be, and use it as the best beach bag on your destination honeymoon!